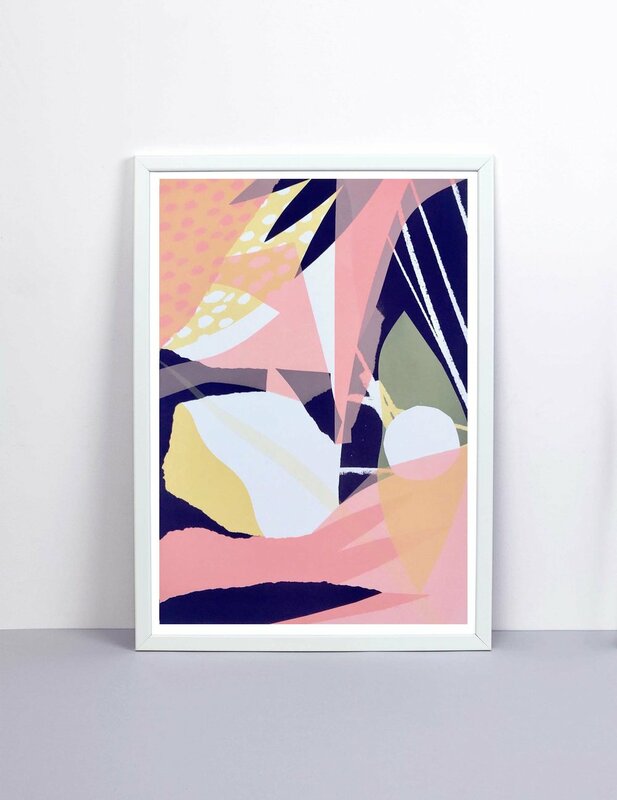 Tom Abbiss Smith is an artist specialising in digital collage, painting and printmaking. 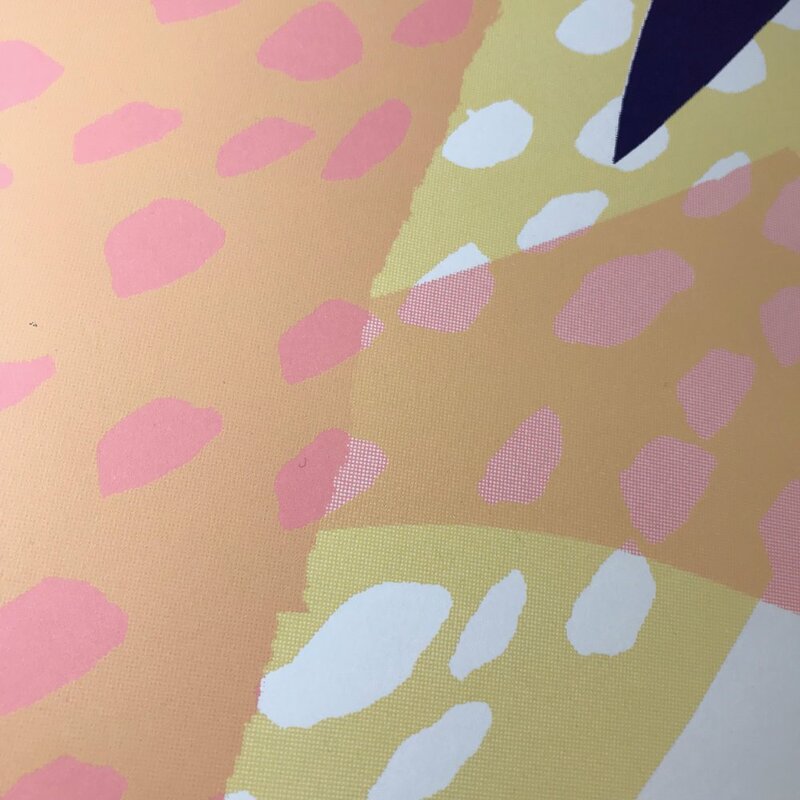 His work explores shape and form to produce abstract works and is often applied as surface pattern design to clothing, homeware products and accessories. 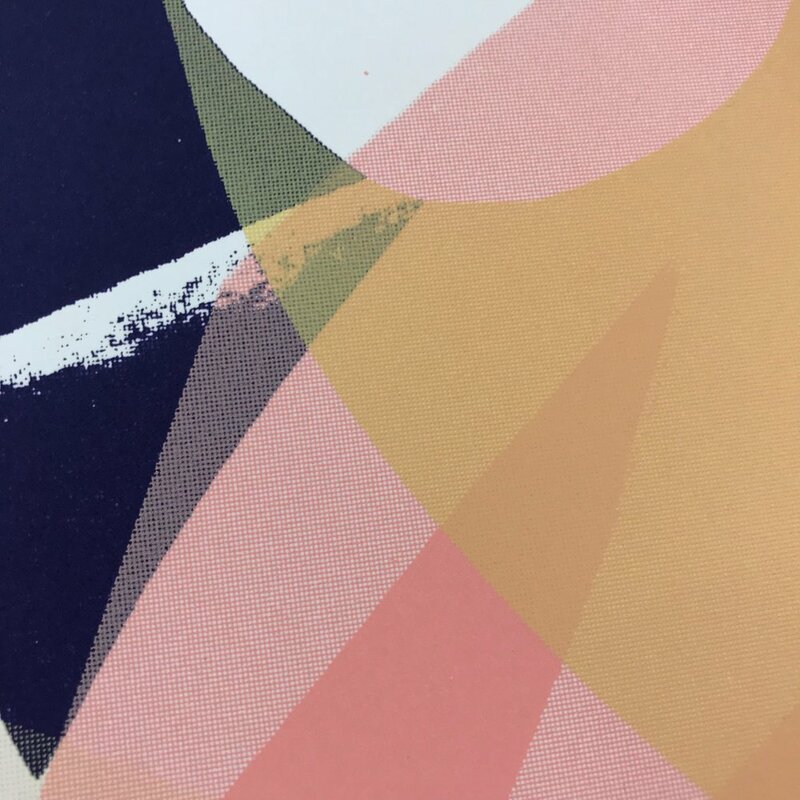 We love Tom's use of colour and specifically the way he layers colour and so we were thrilled to have Tom contribute to the Editions series. 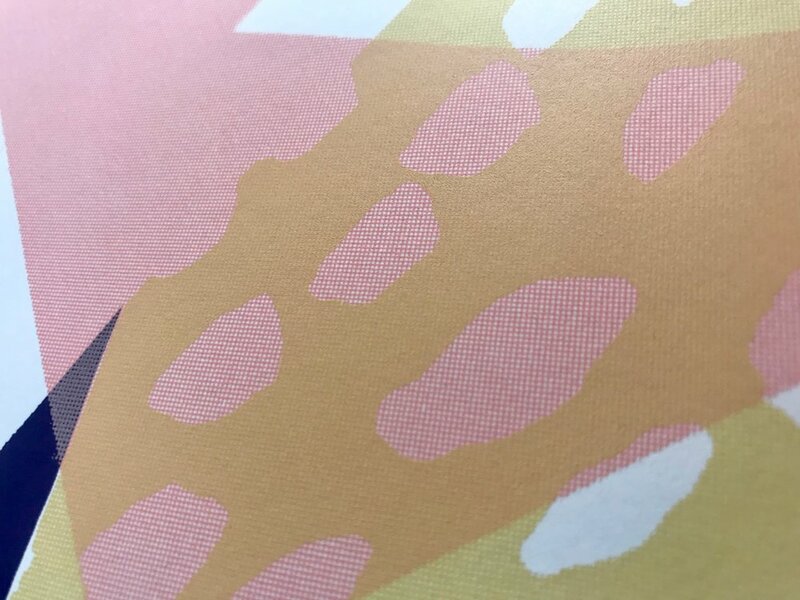 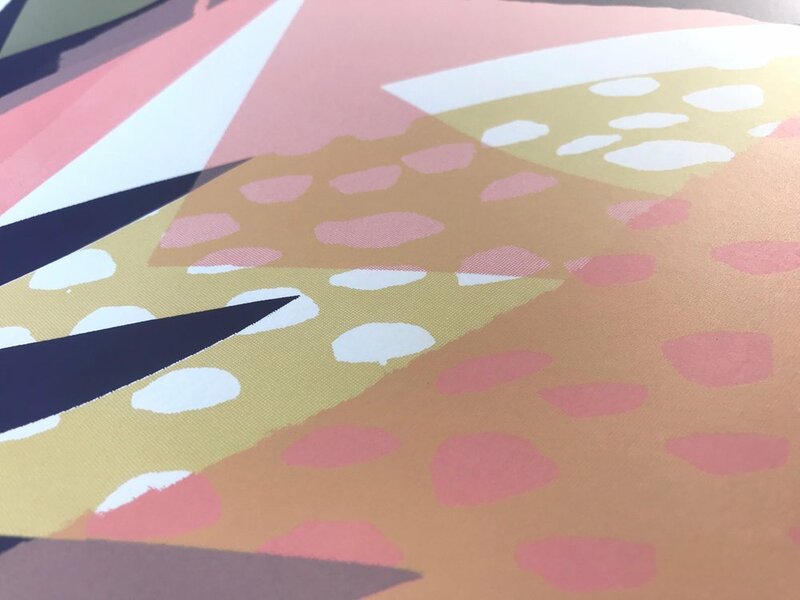 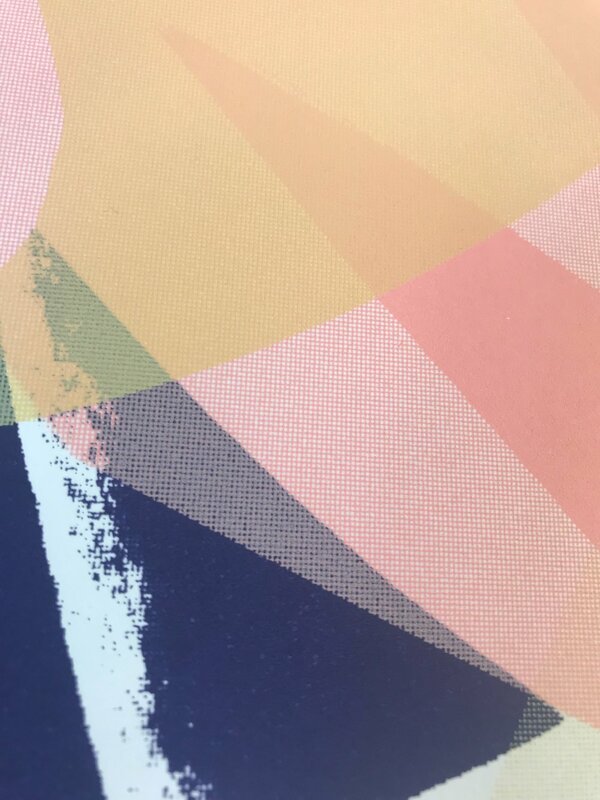 With 'Cast' we print 3 semi opaque colours on top of one another (purple, pink and then yellow), combined with clever use of halftone dots to create additional shades, creating beautifully detailed depth and texture. 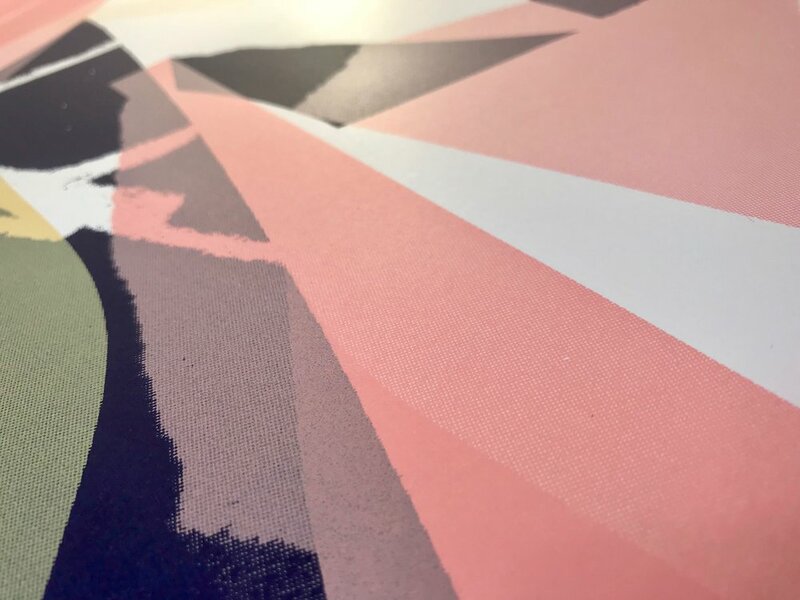 Only 30 of these prints have been made and it is exclusive to The Private Press 'Editions' series.